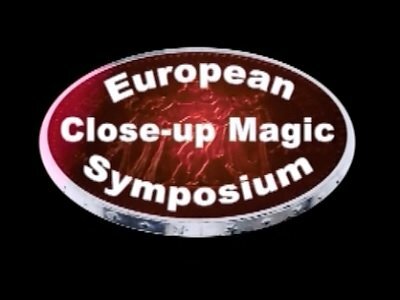 On November 26 and 27 2010 the first European Close-Up Magic Symposium, focusing purely on coin magic, brought 16 magicians from all over the world to Milan for two days of non-stop coin magic, with lectures and performances, private sessions and gala shows. The routines in this volume among the best and shot live at the symposium, are very impressive and strong. Expect some knuckle busters as most of the contributors in this volume are the best names in the coin magic genre. All routines, except two (as noted), are complete with performance and explanation. AKIRA FUJII: "Grown Up Coin". Beautiful one coin routine with many surprises. Technique is very impressive and not very difficult to do. Intermediate level. For standup workers. GIACOMO BERTINI: "Cylinder & Coins". This is his version of a classic routine, without the use of a wand. Many useful techniques are taught here, but it will be a challenge to accomplish. A very well constructed routine that shows the hand empty from time to time. Plenty of subtle convincers here. Advanced level. For standup workers. JEAN EMMANUEL FRANZIS: "Coins No Purse No Glass". This is a tough one, you will need to be able to palm six coins in one hand. The routine starts off with the production of three silver coins and then changes to Chinese coins and then ending with the Chinese coins changing back to silver coins. Very nice routine, advanced level. For standup workers. SHIGEO FUTAGAWA: "Inflaction and Deflaction". A fun, short and original routine whereby one of the two half dollars changes to a quarter and the other half dollar changes to a silver dollar. Student of Shigeo Takagi, Shigeo is now considered the dean of Japanese coinmagic. Beautiful routine to work at the table. Beginner/Intermediate level. MIGUEL ANGEL GEA: "Esencia del Vaso". The master of Spanish coinmagic presents one of the best routines of the DVD. Pure sleight of hand, pure magic and total enjoyment. A coins thru glass routine with seldom seen technique. A perfect lead in to a matrix or a four coin routine. Routine work at the table Intermediate level. GINJIRO: "Cylinder and Chips". A classic Ramsey routine using casino chips instead of coins. Interesting cork (magician fooler) used here. For standup workers, Intermediate level. ERIC JONES: "Flash Dance". One of the most well-known American close-up magicians with a very visual 3 coin production using flash paper wads and a total vanish of the coins. Routine comprises of several mixtures of gaffs. Clever and easy to do. Beginner/Intermediate level, for standup workers. JOKE: "Fire Three Fly". A very original version of a classic routine, visual coins across choreographed to music with the use of a candle flame. Beginner/Intermediate level, for standup workers. MARIO RASO: "Mirage". Performance and explanation of the use of the Mirage Coin. The performance is for standup workers, and easy to do. Beginner level. CURTIS KAM: "Be Like Water" (Performance Only). A production of 3 coins from a flask. Another beautiful and original routine, shot live at the symposium. YOSHIHIKO MUTOBE: "Fancy Frame" (Performance Only). This is a special performance by Yoshihiko Mutobe, very slick moves. One of the few videos of the great Japanese master that are on the market. HIDEKAZU KIMOTO: Beautiful coin across complete act for standup workers. Advanced level. TONY POLLY: Original and fun for the audience act for standup workers. Advanced level. MARCO PANTALEO: Original Spellbound coins act for standup workers. Cards and other objects. Advanced level.